MERIDA, Mexico, May 16, 2014 — Merida, the capital of the Mexican State of Yucatan, was founded in 1542 by Francisco de Montejo, a Spanish Conquistador and got its name after the town of Merida in Extremadura, Spain. Merida is also known as the White City; however the origin of this moniker is not clear. Some of the explanations include the common color of the old buildings which are painted and decorated with “cal” or the fact that the residents keep the city particularly clean. With superb archaeological sites like Chichen Itza, historical cities of the Colonial era, natural attractions like sinkholes known as cenotes, a vast cultural heritage expressed through music, dance and cuisine, Merida is a destination that offers every visitor a unique and colorful experience. Here are five things you can do in Merida, “The White City” if you plan to visit this summer: Visit Chichen Itza Chichen Itza is not only a World Heritage Site but is also one of the 7 Wonders of the Modern World and is located in eastern Yucatan about 120 km from Merida on the Cancun Highway. The archaeological site was one of the greatest Maya Centers in Mexico and its impressive monuments includes the Great Ball Court, El Caracol – the Observatory, Temple of Kukulkan (The Feathered Serpent God), and Temple of the Warriors which are among the most undisputed masterpieces of Mesoamerican architecture. The archaeological site is open every day from 8am to 5pm and it is recommended to go early in the morning to avoid the large crowds. 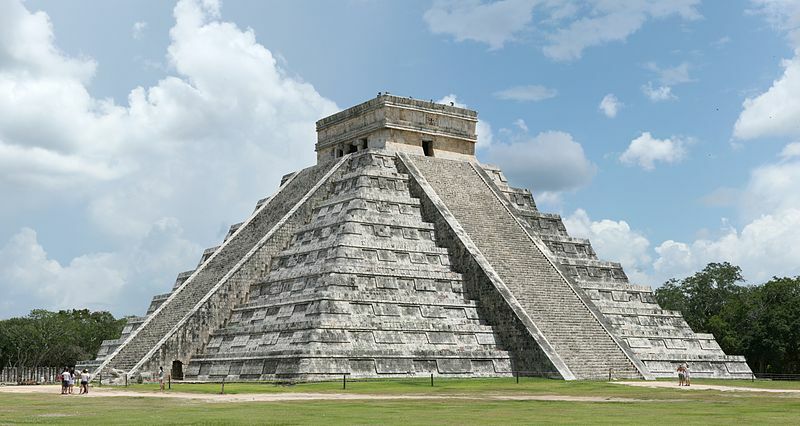 According to the Yucatan Tourism Board, more than 1.2 million tourists visit the site every year. Relax on the beach The Yucatan area has more than 370km of white sandy beaches and one of the beaches where you can go and relax and unwind is in Progresso, a port city which is approximately 30 minutes from Merida. 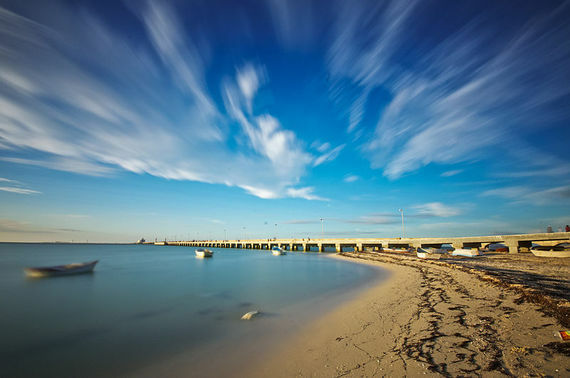 The city is famous for its laid back ambience and sunny climate and is also a prime destination for many travelers who want to explore cultural attractions, shop for souvenirs or take trips to other destinations and Maya archaeological sites. Go Swimming in Cenote Zaci Cenote Zaci is 1.5 hours away from Merida and is located in the Restaurant and Tourist Inn Zaci. A spectacular landscaped freshwater sinkhole measuring 150 feet wide and 260 feet deep, Cenote Zaci is considered one of the most popular and impressive open kind sinkholes in Yucatan. Almost a third of the cenote is covered with elegant stalactites and stalagmites and you will also see an abundant of rare species of eyeless black fish known as “lub” in its turquoise water. Going for a swim in this Cenote’s crystalline waters is definitely refreshing.I also highly recommend the great restaurant onsite which serves delicious and succulent regional dishes. Explore Dzibilchaltun Dzibilchaltun means “the place where there is hand-writing on flat stones” and its name is derived after the numerous tablets that were found at the site. 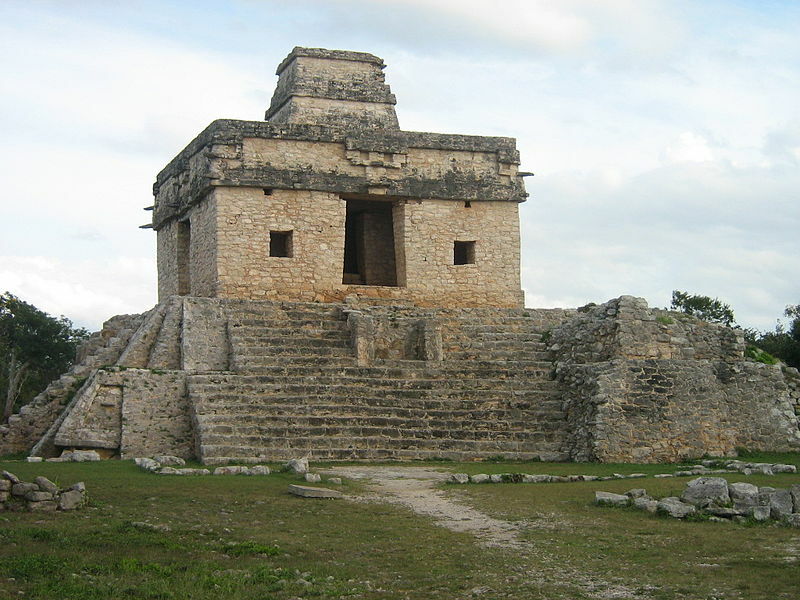 It is located about 30 minutes from Merida and dates back to the middle of the classic period 700- 800 AD. The “Temple of the Seven Dolls” is the most famous structure and is named after the seven small effigies that were found at the site when the temple was discovered. Other highlights of this archaeological site are the large plazas, sacbe trails and the open chapel, an unusual amphitheater structure. There is also Cenote Xlakah which is located at the center of the city’s ruins and recent archaeological findings revealed that it was used as the center of religious cult. Today the cenote is used as a swimming pool by many people who visit the site. 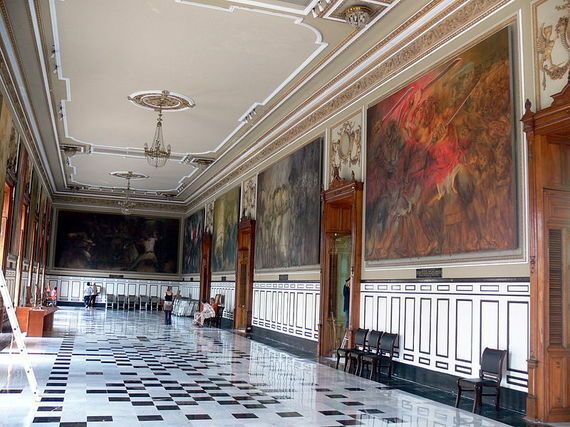 Visit the Government Palace The Government Palace is a very wide indoor patio that was inaugurated on September 15th 1882 and is beautifully decorated with large murals that depict the scenes from Maya and Mexican History by Yucatecan artist Fernando Castro Pacheco. One of the paintings that stand out is above the stairway and depicts the Maya spirit with ears of sacred corn. The other painting that I liked is of President Lazaro Cardenas who is popularly known as a Mexican Liberator for expropriating 17 foreign oil companies in 1938. There is also an upstairs gallery that holds more of Pacheco’s paintings which have an almost photographic double exposure effect. The palace is open Monday to Saturday from 8am to 8pm and Sunday from 9am to 5pm. All Photos courtesy of Wikipedia.